BoLASEPaKO.com - a simple view on Singapore Soccer: [Feature] U are given another CHANCE!! [Feature] U are given another CHANCE!! Once again, budding footballers are given another CHANCE to prove their worth with global sporting goods giants NIKE had recently announced the launch of ‘The Chance’ 2012 – a unique global football talent search that gives young amateur footballers from around the world the opportunity to take their game to the highest level. Said FC Barcelona coach Pep Guardiola who is named as the global ambassador for this global search. "The Chance gives young players from around the world the opportunity to showcase their talent and develop their skills on a global stage." "The programme celebrates those players with passion for the game and the best technique, giving them the chance to get noticed and reach their potential." Created to support talented youngsters who are not currently in the professional game, ‘The Chance’ will allow the best young footballers from around the globe to train and play at the leading facilities in world football. 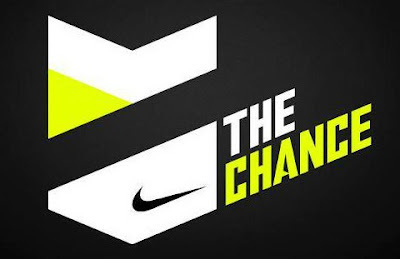 Through this unique platform, players from 55 countries around the world will take part in ‘The Chance’ trials held in these countries. The best 100 players emerged from these trials will then travel to a global final in Spain, to be held at FC Barcelona’s famed youth academy. The best 16 footballers from the global finals will be chosen by Nike to experience the ultimate training tour as their reward; facing some of the most renowned academy teams in world football, including Manchester United and a U.S. Youth National Team during a once-in-a-lifetime four week tour. “The Chance gave me the opportunity to play with and against players from all over the world, helping my game, and getting me noticed by my new club. " said Seon Min Moon from South Korea who emerged from the competition as the winner of the 2010 search.
" It’s a dream come true. I hope my story inspires the players in this year’s programme." said Seon who was offered a two-year deal with Swedish club Ostersunds FK as the result. Interested Singaporeans players can register themselves and their teams by building a ‘team page’ on The Chance app which is available via the Nike Football facebook page (http://www.facebook.com/NikeFootballSG) where more details are available via this site. 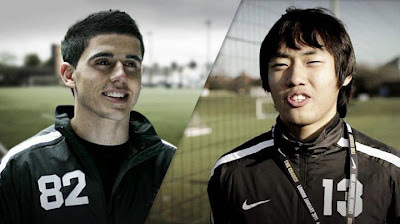 In addition, they can receive programme updates via @NikeFootball on Twitter, after which scouts will then select teams to visit and watch them play, with a view to spotting talented individuals and rewarding them with entry to their local country final. As what it was understood that it is likely that there will only be one representative from Singapore with bigger countries may get more than one slot, but it depends on the performance of the players. More details on any follow up will be revealed in time to come.